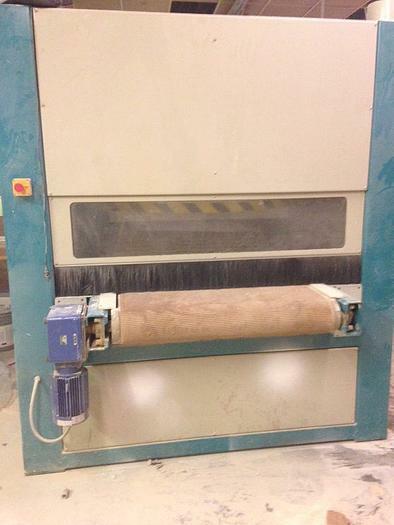 Opti-Sand RV40 Brush Sander for finish sanding and sealer sanding wood parts including cabinet doors and components, entry doors, shutters, louvers, MDF parts (for painting, powder coating, vinyl wrapping) and more. Excellent condition. 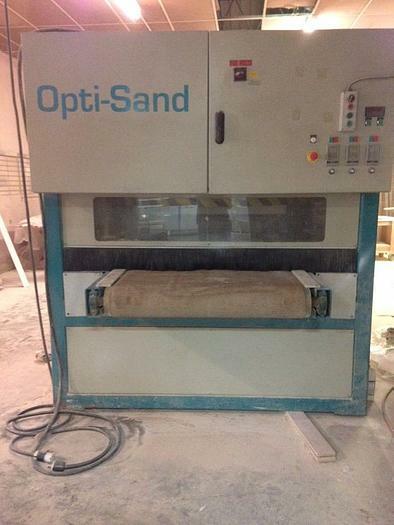 The Opti-Sand Rotary Sander is designed to completely and thoroughly finish sand and sealer sand work pieces such as raised panel cabinet doors, entry doors, louvers, shutters, etc. The Opti-Sand Rotary Sander has four spindles mounted on a sanding deck that continuously rotates creating different angles allowing the abrasives to attack all surfaces of the work pieces. 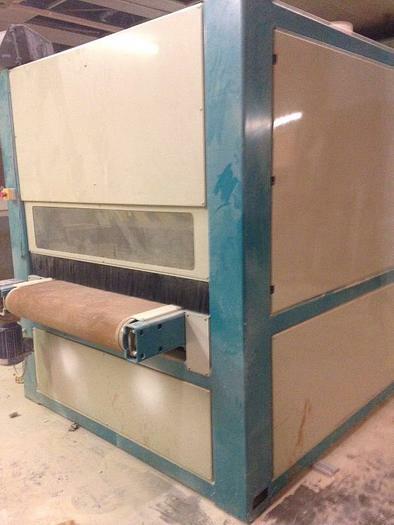 This action ensures that all surfaces are thoroughly and uniformly sanded. The sanding deck adjusts up and down for different work piece thickness and abrasive wear. 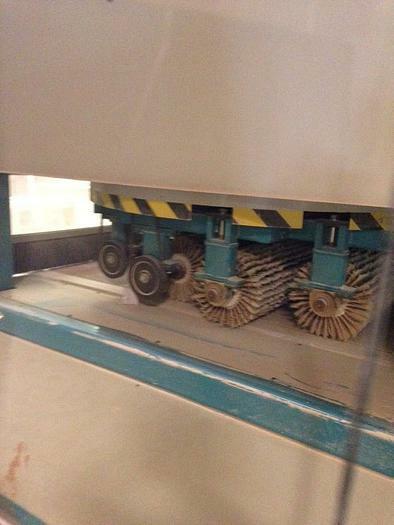 Work pieces are held on the conveyor belt by the built in variable vacuum hold down system or dual track conveyors. The touch screen control is conveniently located for easy access.